My hair hasn't always been my favourite topic. Indeed, it used to be my least favourite because I was blessed with a big bunch of messy, tangly, stubborn curls. Which were always a pain to brush through. Especially on a windy day. Or even worse: in contact with sea air. For the longest time I hated my hair, constantly straightened it and wouldn't even feel comfortable with going outside with my hair unstraightened. 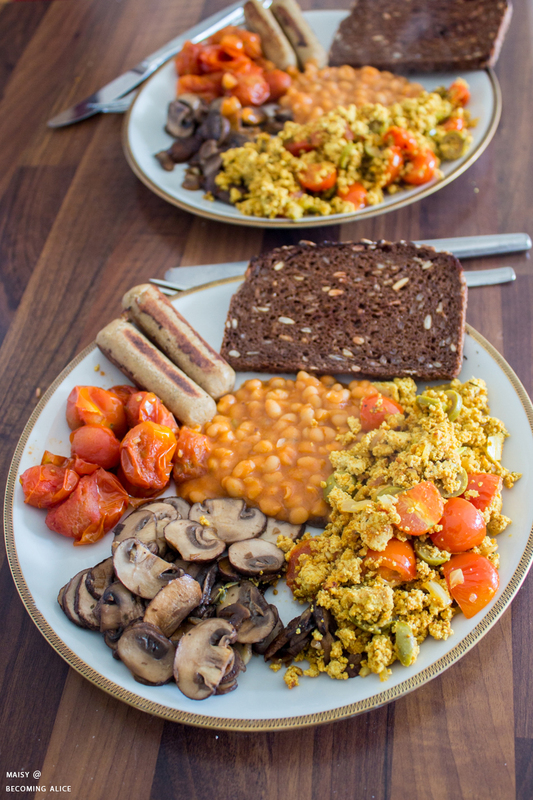 By now I have come to embrace my curls more and more, and I stopped straightening my hair (with a few exceptions such as for certain blog posts or job interviews or some parties etc. when I want to look more elegant. I appreciate that fluffy mess now, I actually love pampering it with nourishing oils and hair masks, and I started to experiment with different hairstyles that work for both straight and curly long hair. But first, let's take a look at my hair routine that has helped me strengthening and restoring my damaged hair. 1. Brush hair with a wooden paddle brush. 2. Apply an oil mask with coconut oil, argan oil or burdock root hair oil, preferably infused with rosemary essential oil. 3. Wash hair. Use a natural, chemical-, silicone- and sulfate-free shampoo. 4. Rinse with cold water. That will help close your hair cuticles, leaving your hair protected, and looking much shinier, softer and sleeker. 5. Gently comb out any tangles with a wide tooth comb, preferably a wooden one. Start at your tips and comb your way up to the roots to prevent breakage. You can also keep your hair covered in a conditioner or mask during this process to make combing easier. 6. Pat dry with a towel (don't rub). 7. Moisturize hair tips with some more oil or aloe vera gel. 8. Allow hair to air dry. Blow drying will only cause frizz! 9. 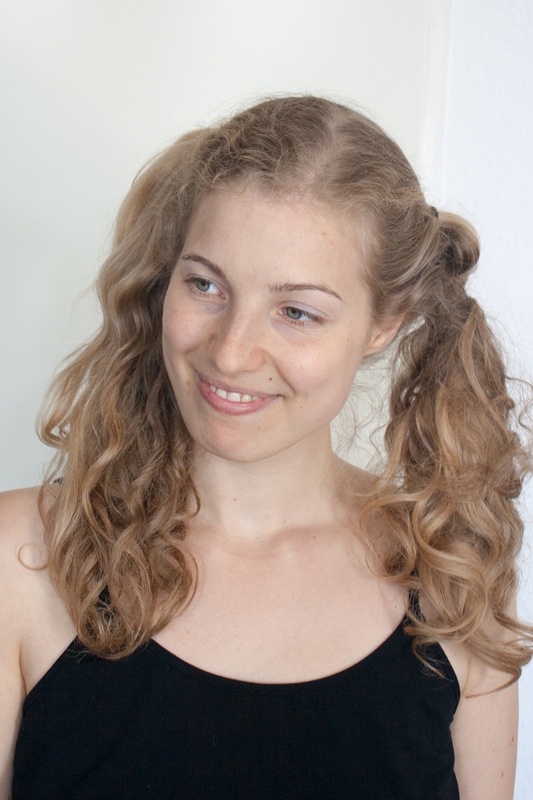 Put (halfway dried) hair in a protective hairstyle (see below). NOTE: Protective Hairstyles are heat-free hairstyles used to prevent breakage, combat frizz and split ends, and protect your hair from heat damage, friction, environmental effects, etc. 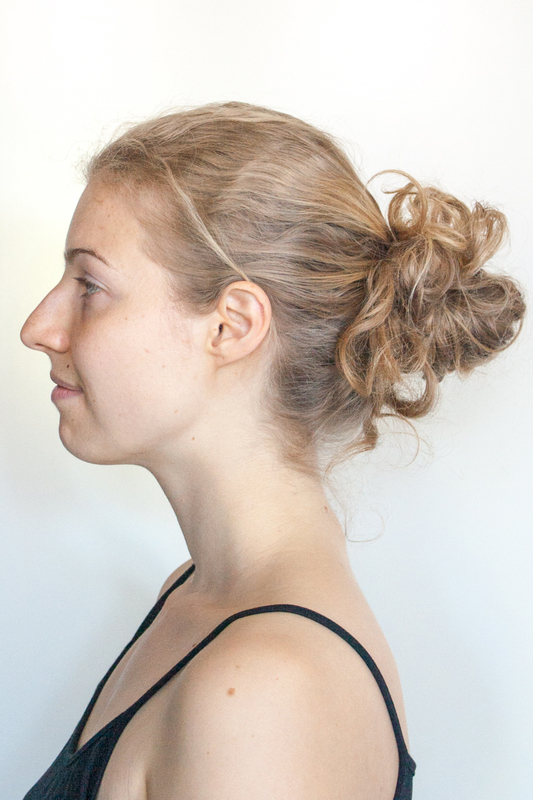 Another usual suspect of mine is the messy bun - who knew! 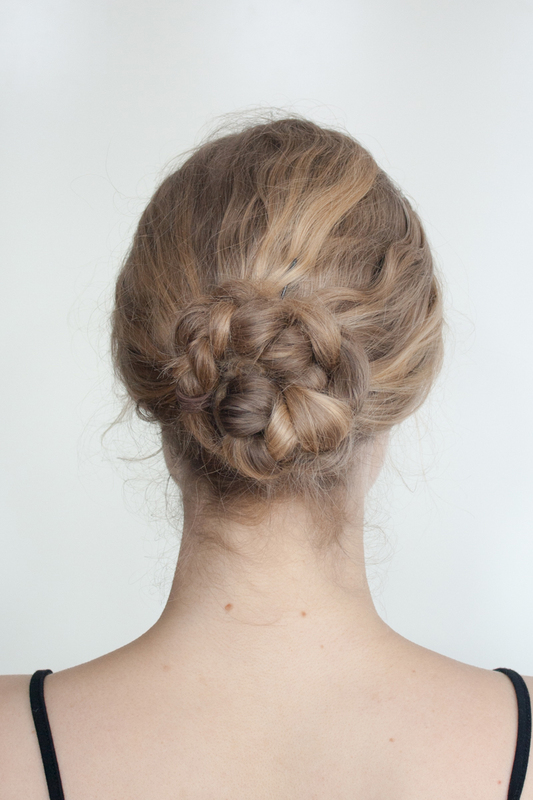 Just scrunch up your hair into a tousled ball, and you're good to go! I usually pull up my hair into a ponytail, pull it halfway through my hair tie, twist and wrap the hair tie around the bun again. Wrapping the hair tie a second time will tighten the bun and secure it in place. I especially like this look on a second day or even third day hair. 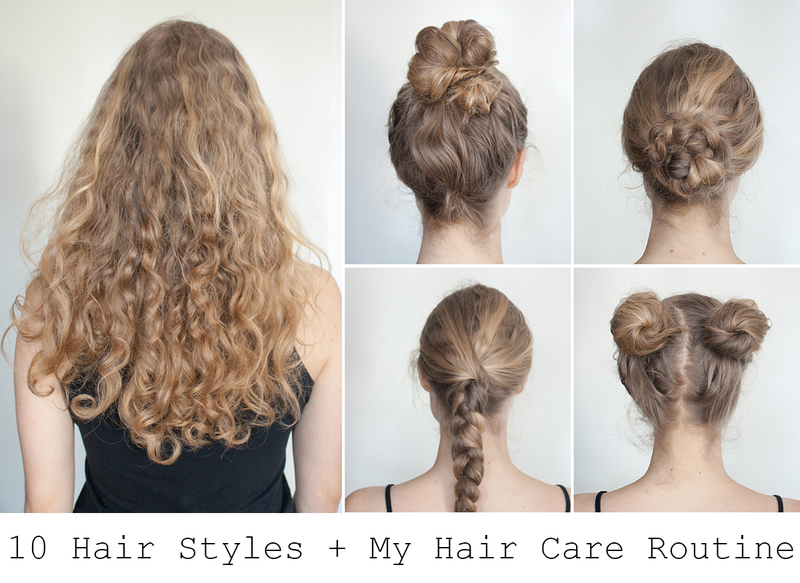 The longer and curlier your hair, the easier and more effective this hairstyle will be. This is how I wear my hair every single night. 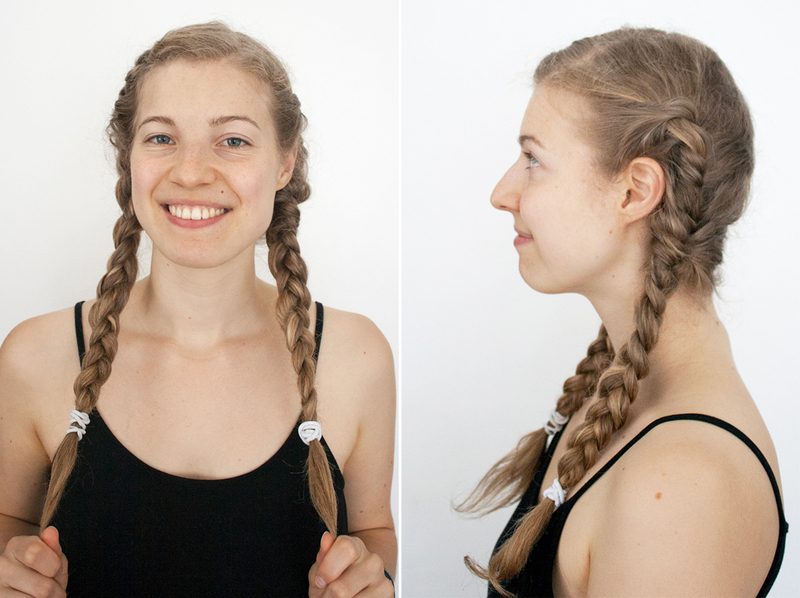 It's super easy: You just divide your hair into three strands and braid them. 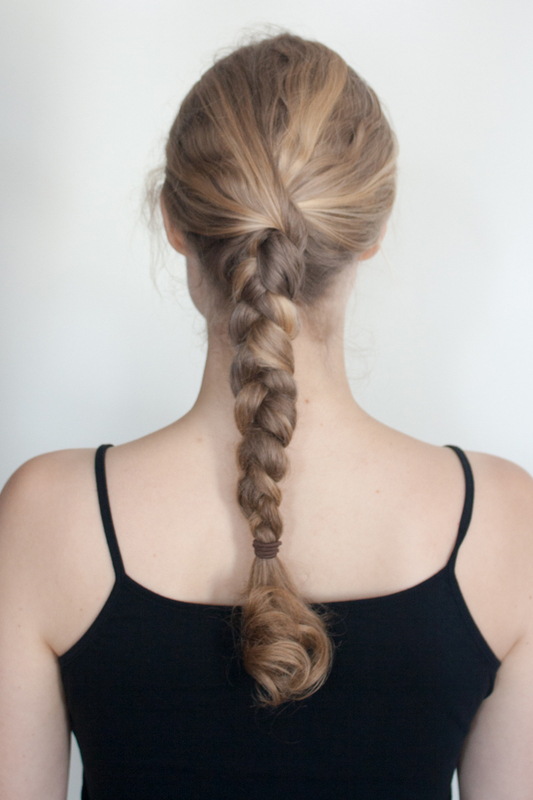 (Of course you can do a more elaborate French braid instead of this three-strand version.) That way your hair won't get damaged and frizzy while you toss and turn at night. 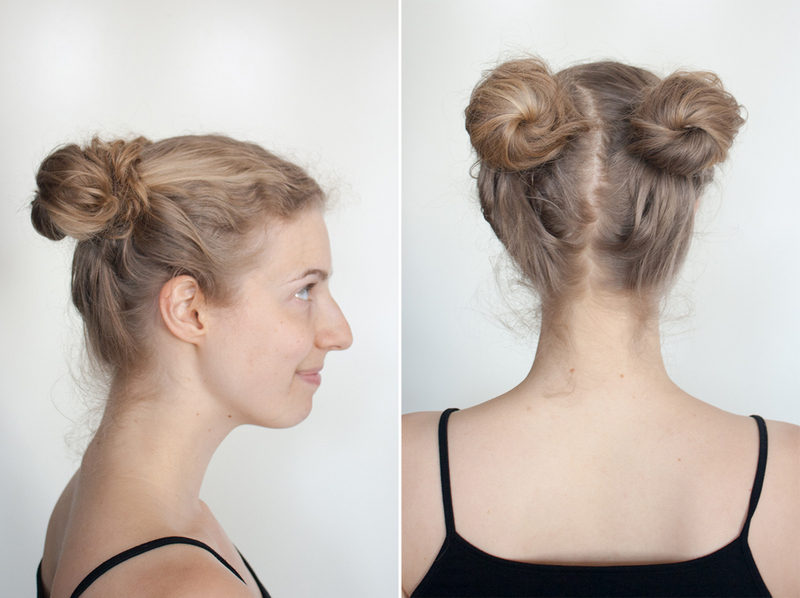 A more neat and sleek alternative to the messy bun is the high bun - or ballerina bun, as my boyfriend likes to call it. To achieve this look simply pull up your hair like you would for a super high ponytail, twist it and wrap it into a tight little bun. Secure with a hair tie and maybe some bobby pins. For this funky little hairstyle part your hair down the middle down to the nape of your neck and separate into two sections. 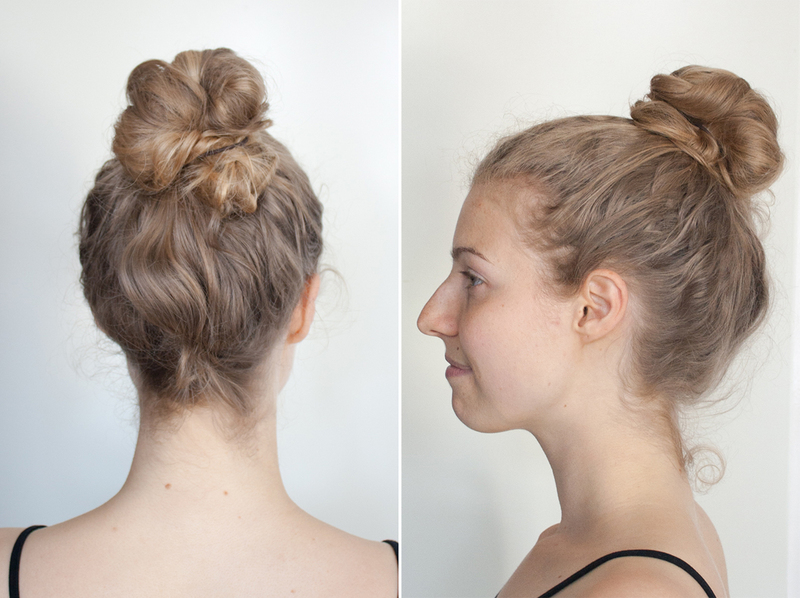 Take your first section, twist it all the way down and coil your hair around the base to created a bun shape. Secure it with a hair tie and as many bobby pins as needed to hold the look in place. Repeat on the other side. This look goes especially well with a fringe. This low bun look is super easy to create and looks like you put some more effort into it: Simply braid a three-strand braid as in Nr (4) and twist it into a low bun against your head, securing your hair with bobby pins as needed. These are so fun for festivals, parties or just everyday cuteness! 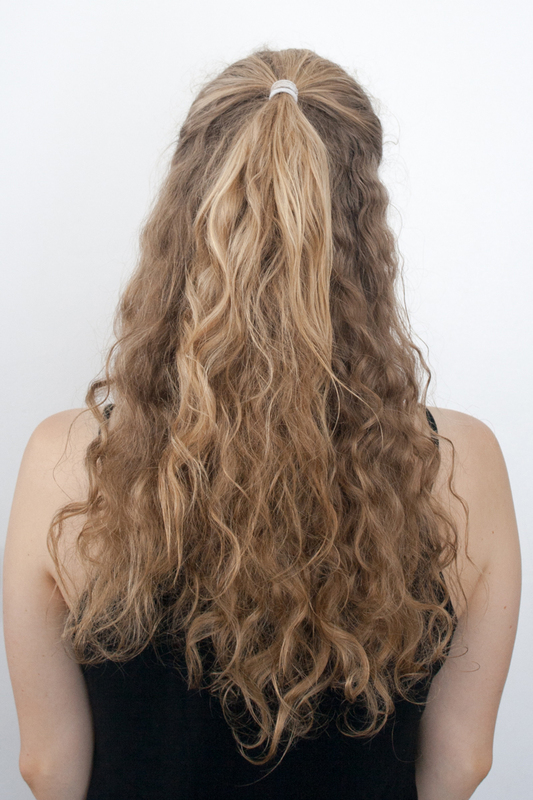 Simply part your hair down the middle down to the nape of your neck and separate your hair into two sections. Either create two pigtails and wrap the hair around the base of the pigtail, or just coil both hair sections into little buns. Secure with hair ties. 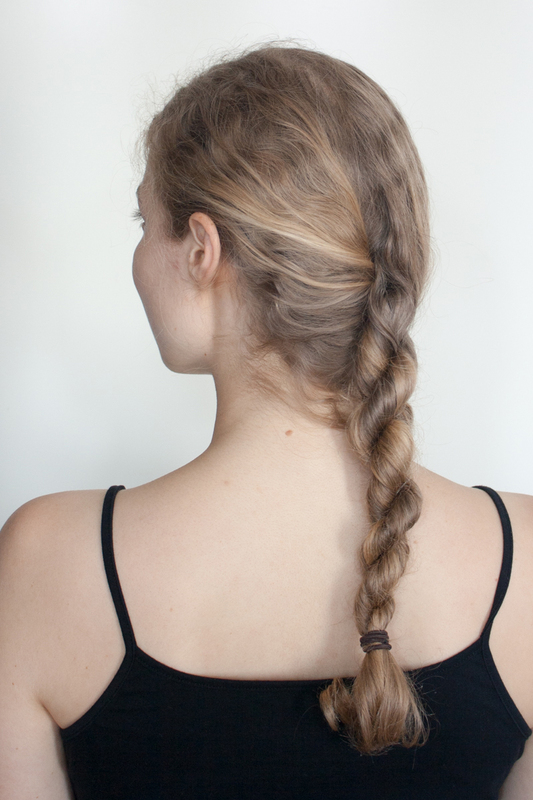 A great alternative to your usual three-strand braid is this rope braid. Divide your hair into two section and twist those sections in the same direction. 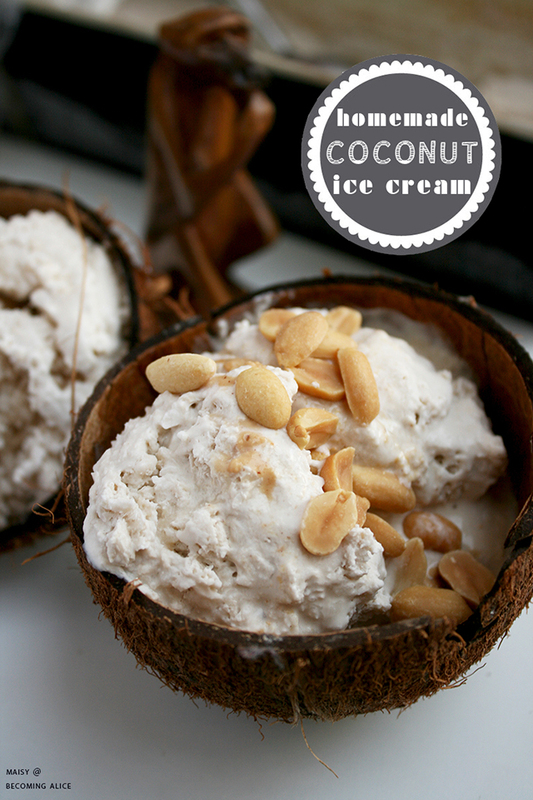 Then twist them around each other in the opposite direction. That way you won't be left with any harsh waves or dents. For this cute and girly hairstyle part your hair down the middle. Start with one side. 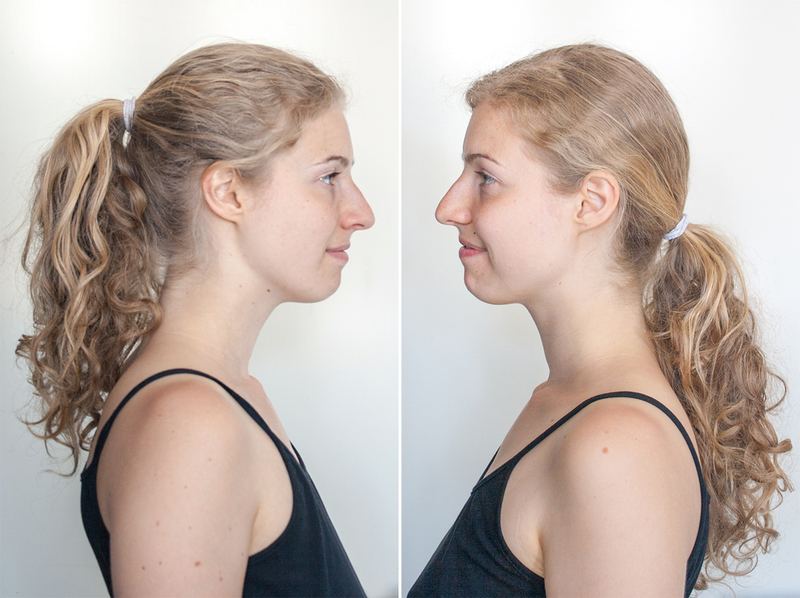 Take a strand from the very front portion of your hair, then take a strand just below that. 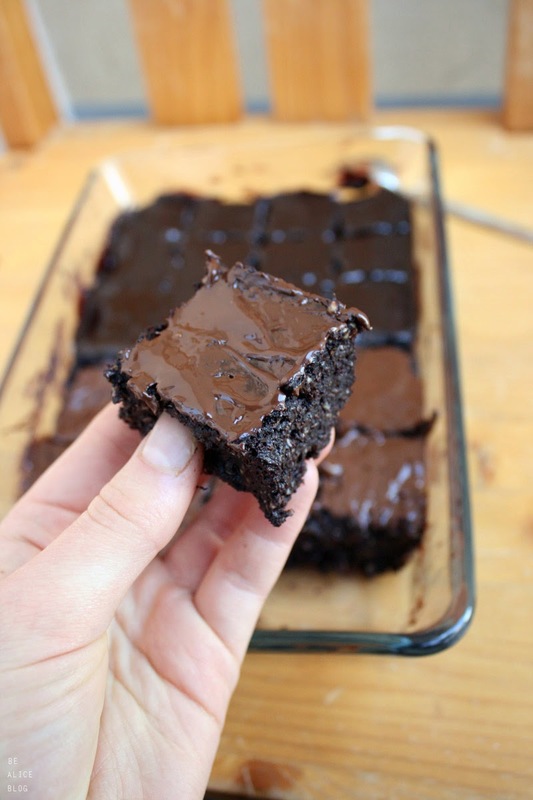 Start making a French twist by crossing your second section over the first. Continue twisting your hair away from your face, always adding another strand from the bottom, crossing it over and so on and so forth. Follow your hairline until you reach the base of your ear. Then take all the twisted hair and divide it into three strands. 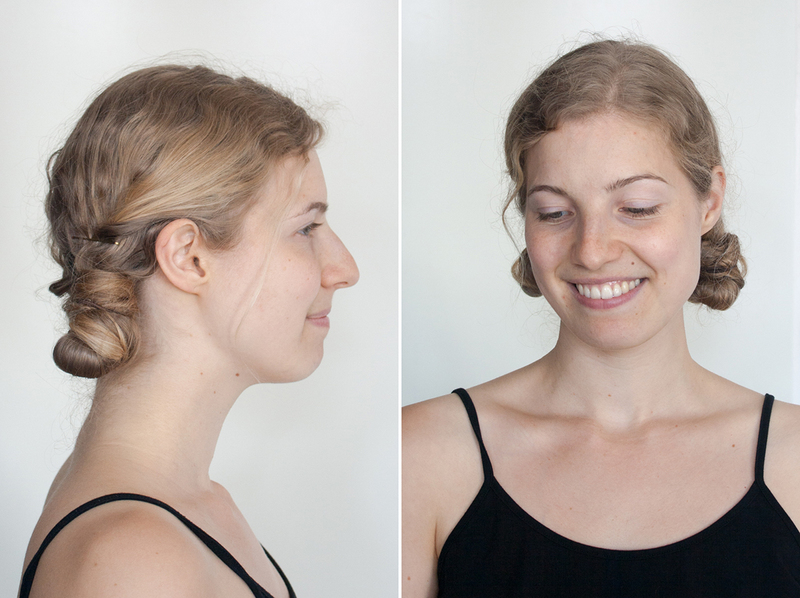 Braid into a regular braid and secure with a hair tie. Continue on the other side. Tadaa! And which are your personal go-to hairstyles?